A few weeks ago our church held summer VBS. Our theme this year was focused on space, as in God’s love is out of this world! My oldest son and I made snacks for 65ish kids for three of the VBS nights. When I was picking snacks, I had to consider potential food allergies that a large group of children could present. I decided to stick with as much fruit as possible, knowing that children with gluten and dairy issues could partake without having to settle for an alternative. 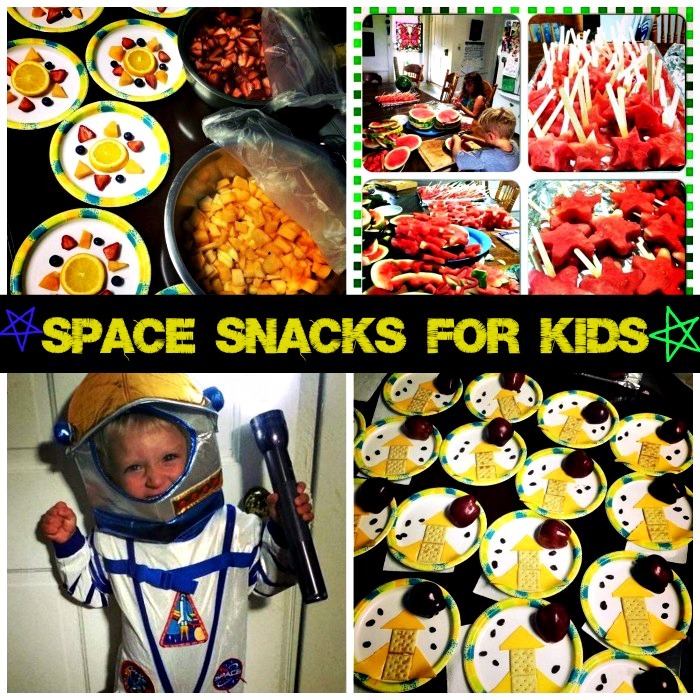 Here are the healthy space-themed snacks that my oldest son, Jadin, and I served. These space snacks for kids would go great with a space-themed homeschool unit study! Slice oranges for the center of the sun. Slice additional fruit for sun rays. The fruit ideas are endless! 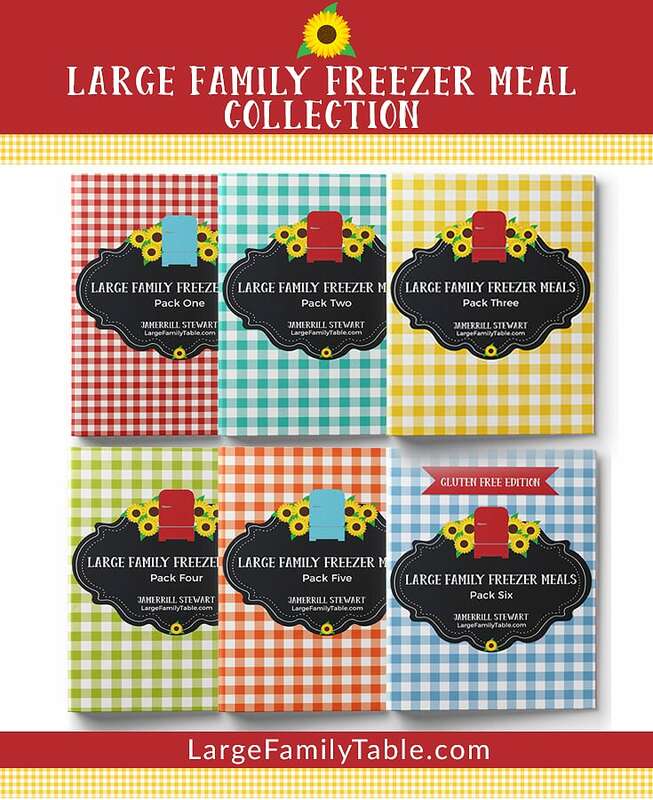 Use watermelon, honeydew, cantaloupe, raspberries, blackberries, and more! 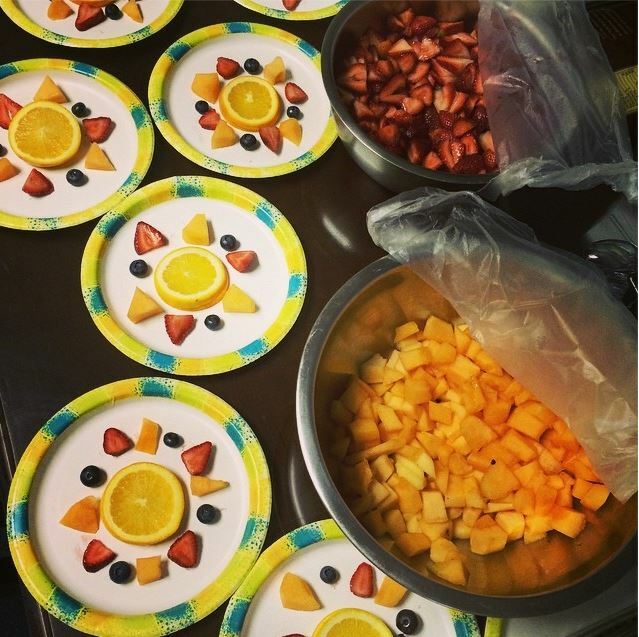 As seen in the picture above, simply arrange the sliced fruit in a sunshine pattern and enjoy! Now, these rocket ship space plates may have a few issues for 100% healthy and concerning allergy issues. I knew by the 2nd night that our group didn’t have gluten or dairy needs so we did this rocket ship space snack plate idea. 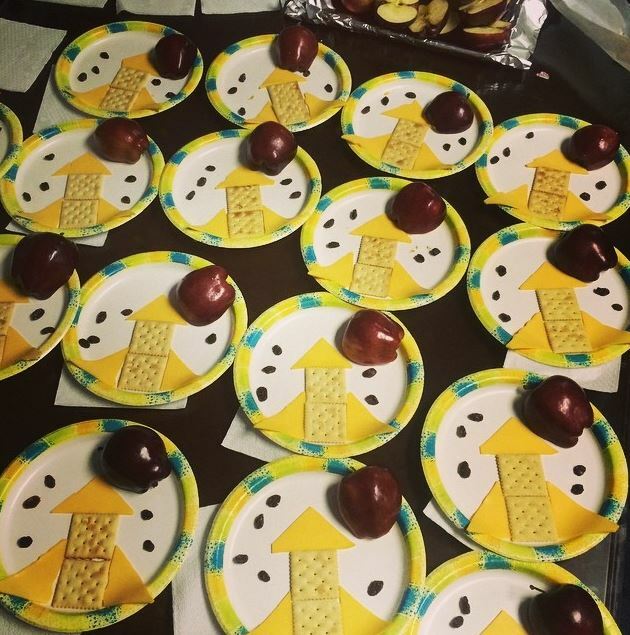 I figured only 2 saltine crackers and 1-1/2 slices of cheese would go a long way with the kids, considering they were also getting 1/2 an apple (um…planet), and raisins (otherwise known as stars). 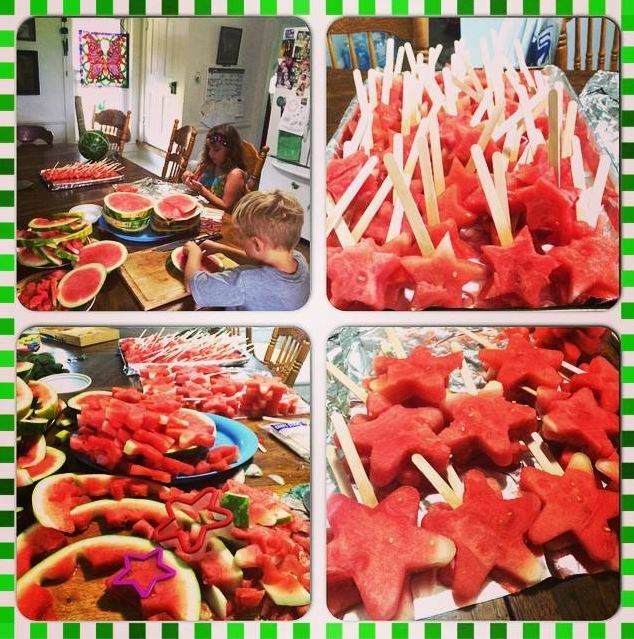 Lastly, we made watermelon stars. Watermelon stars are easy in theory. However, if you’re making them for a crowd get ready for several hours of star cutting. It was fun though. I employed my little helpers. 😉 We made both large and small stars. 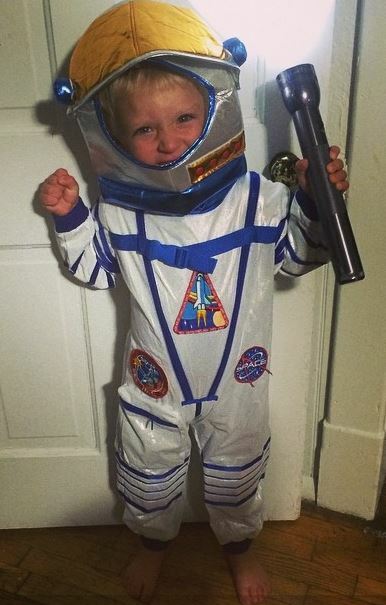 Liam was thrilled that he won the NASA space suit from VBS! What other space-themed snack ideas do you have for kids? Share in the comments below! Those are such cute snacks! We will be learning about Astronomy this year, and I am sure these will be a hit with my own family! Thank you for sharing your creative snacks!